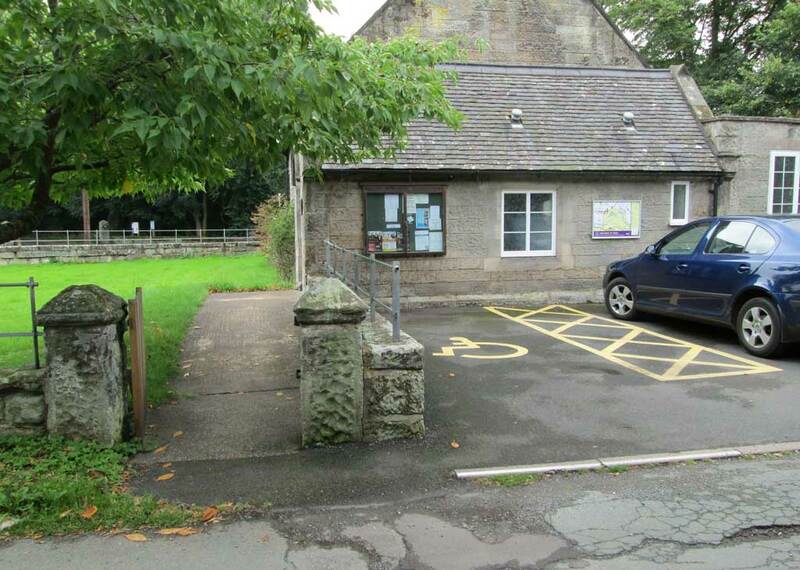 The village hall stands within the Conservation Area in the centre of the village opposite the church. It was built in 1850 on land given by Lord Shrewsbury. The school closed in the early 1900s and in the 1950s the building was extended with the addition of a kitchen, internal toilets and a committee room at the back. 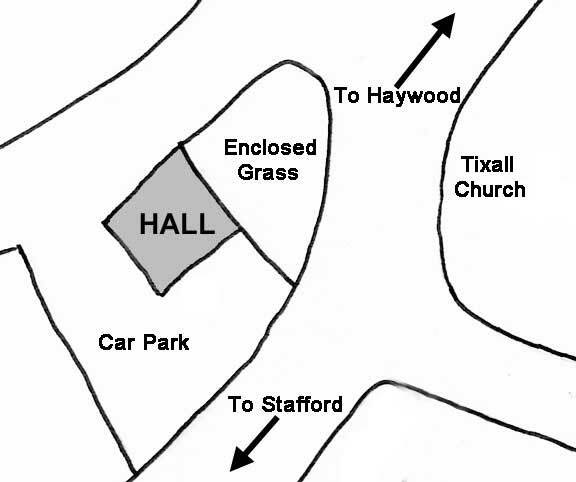 From this time the building was used as a Church Hall, but was still officially Tixall Old School with the Rector and Churchwardens as Trustees, and Lichfield Diocese and Lord Shrewsbury also having possible claims to the building if it was sold. In November 2002 a new, separate Charitable Trust was set up with 8 Hall Trustees: 2 trustees appointed by the Parish Council, and 2 by each of Ingestre and Tixall Parochial Church Councils. Two additional trustees have been co-opted as allowed in our Trust document. 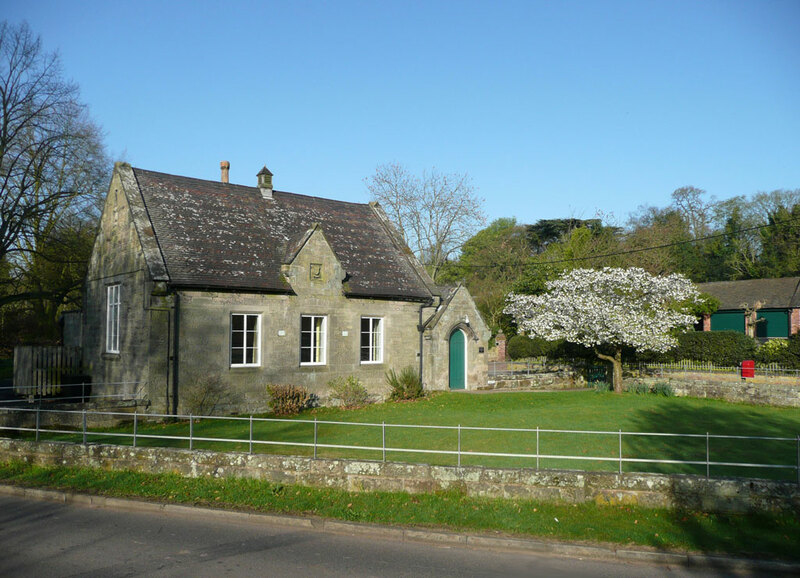 The Village Hall is concerned to follow Data Protection Guidelines and has a Data Privacy Notice. 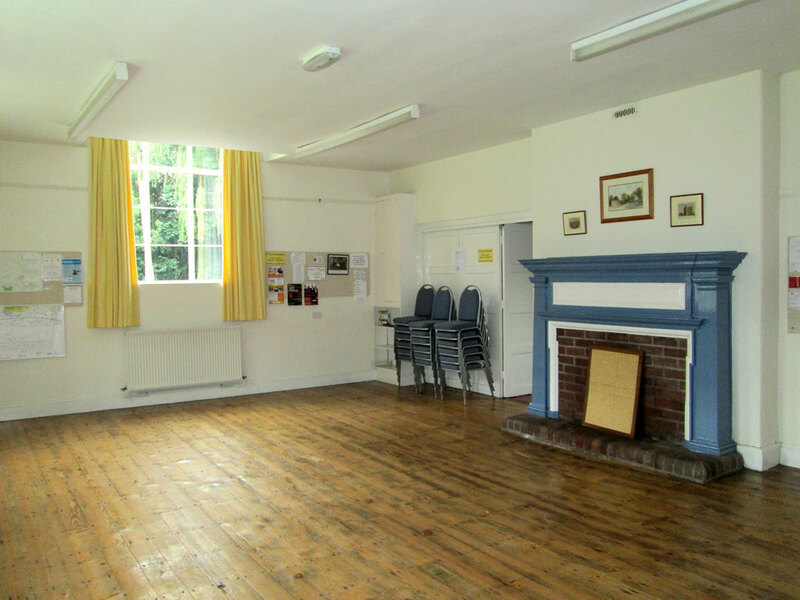 The Hall is an ideal venue for family and children's parties and other social events. It is also available for seminars and training sessions. 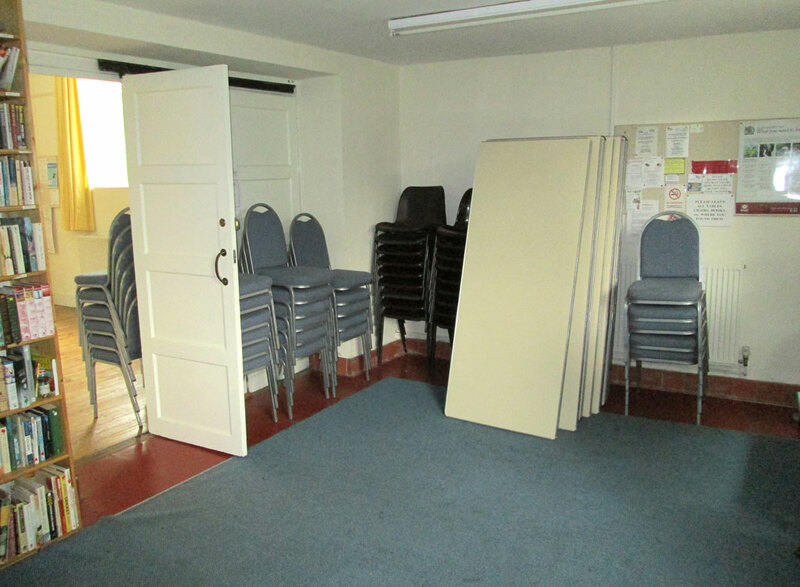 The Hall is available for hire at £6 hour including heating and electricity, with consessionary rates for non commercial local users. A returnable cash deposit of £50 is usally required to ensure the Hall is left in good order. There are 10 folding "Gopak" tables, 6ft x 3ft [183cm x 91cm], 40 fabric chairs and 18 plastic chairs. In addition the car-park is available at 50p/vehicle/day. There is no additional parking charge for people hiring the Hall. Short term parking, eg. during Church services, remains free. 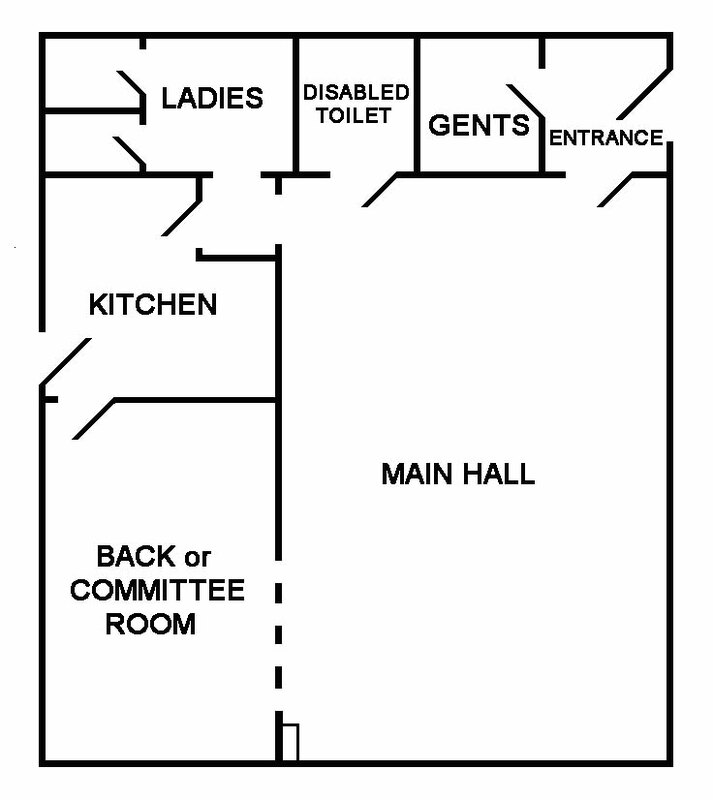 The main hall is ~30ft x ~20ft [~9m x ~6m]and 10ft [3m] high and has a hearing loop. It comfortably accomodates 40 seated at tables. There is a maximum of 60 people due to fire regulations. The committe room is ~18ft x ~12ft x ~8ft high [5cm x 4m x 2m]. The kitchen has cutlery, cups, saucers, side plates, dinner plates and bowls for 40. 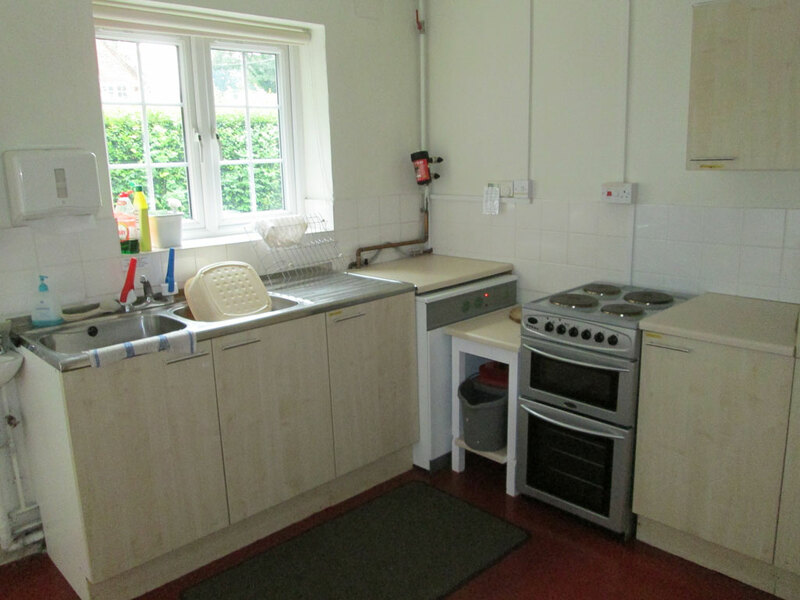 There is a cooker and refrigerator and a serving hatch into the main hall. The building has oil central heating There is disabled parking, a ramp entrance and a disabled toilet off the main hall. 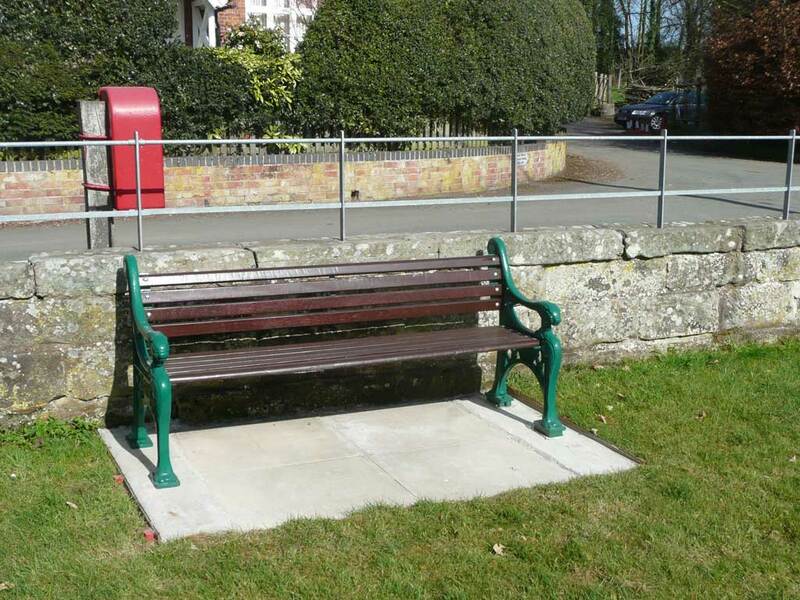 Outside is an enclosed grass area with bench seat. Latest update and hall news.